Gabrielle Émilie Le Tonnelier de Breteuil, Marquise du Châtelet (French pronunciation: [emili dy ʃɑtlɛ] ( listen); 17 December 1706 – 10 September 1749) was a French natural philosopher, mathematician, physicist, and author during the early 1730s until her untimely death due to childbirth in 1749. Her most recognized achievement is her translation of and commentary on Isaac Newton's book Principia containing basic laws of physics. The translation, published posthumously in 1759, is still considered the standard French translation today. Her commentary includes a profound contribution to Newtonian mechanics—the postulate of an additional conservation law for total energy, of which kinetic energy of motion is one element. This led to her conceptualization of energy as such, and to derive its quantitative relationships to the mass and velocity of an object. Her philosophical magnum opus, Institutions de Physique (Paris, 1740, first edition), or Foundations of Physics, circulated widely, generated heated debates, and was republished and translated into several other languages within two years of its original publication. She participated in the famous vis viva debate, concerning the best way to measure the force of a body and the best means of thinking about conservation principles. Posthumously, her ideas were heavily represented in the most famous text of the French Enlightenment, the Encyclopédie of Denis Diderot and Jean le Rond D'Alembert, first published shortly after Du Châtelet's death. Numerous biographies, books and plays have been written about her life and work in the two centuries since her death. In the early 21st century, her life and ideas have generated renewed interest. In addition to producing famous translations of works by authors such as Bernard Mandeville and Isaac Newton, Du Châtelet wrote a number of significant philosophical essays, letters and books that were well known in her time. Because of her well-known collaboration and romantic involvement with Voltaire, which spanned much of her adult life, for generations Du Châtelet has been known as mistress and collaborator to her much better known intellectual companion. Her accomplishments and achievements have often been subsumed under his, and as a result, even today she is often mentioned only within the context of Voltaire's life and work during the period of the early French Enlightenment. Recently, however, professional philosophers and historians have transformed the reception of Du Châtelet. Historical evidence indicates that Du Châtelet's work had a very significant influence on the philosophical and scientific conversations of the 1730s and 1740s – in fact, she was famous and respected by the greatest thinkers of her time. Du Châtelet corresponded with renowned mathematicians such as Johann II Bernoulli and Leonhard Euler, early developers of calculus. She was also tutored by Bernoulli's prodigy students, Pierre Louis Moreau de Maupertuis and Alexis Claude Clairaut. Frederick the Great of Prussia, who re-founded the Academy of Sciences in Berlin, was her great admirer, and corresponded with both Voltaire and Du Châtelet regularly. He introduced Du Châtelet to Leibniz's philosophy by sending her the works of Christian Wolff, and Du Châtelet sent him a copy of her Institutions. Her works were published and republished in Paris, London, and Amsterdam; they were translated into German and Italian; and, they were discussed in the most important scholarly journals of the era, including the Memoires des Trévoux, the Journal des Sçavans, the Göttingische Zeitungen von gelehrten Sachen, and others. Perhaps most intriguingly, many of her ideas were represented in various sections of the Encyclopédie of Diderot and D'Alembert, and some of the articles in the Encyclopédie are a direct copy of her work (this is an active area of current academic research - the latest research can be found at Project Vox, a Duke University research initiative). Émilie du Châtelet was born on 17 December 1706 in Paris, the only girl amongst six children. Three brothers lived to adulthood: René-Alexandre (b. 1698), Charles-Auguste (b. 1701), and Elisabeth-Théodore (b. 1710). Her eldest brother, René-Alexandre, died in 1720, and the next brother, Charles-Auguste, died in 1731. However, her younger brother, Elisabeth-Théodore, lived to a successful old age, becoming an abbé and eventually a bishop. Two other brothers died very young. Du Châtelet also had an illegitimate half-sister, Michelle, who was born of her father and Anne Bellinzani, an intelligent woman who was interested in astronomy and married to an important Parisian official. Her father was Louis Nicolas le Tonnelier de Breteuil, a member of the lesser nobility. At the time of Du Châtelet's birth, her father held the position of the Principal Secretary and Introducer of Ambassadors to King Louis XIV. He held a weekly salon on Thursdays, to which well-respected writers and scientists were invited. Her mother was Gabrielle Anne de Froullay, Baronne de Breteuil. Du Châtelet's education has been the subject of much speculation, but nothing is known with certainty. Among their acquaintances was Fontenelle, the perpetual secretary of the French Académie des Sciences. 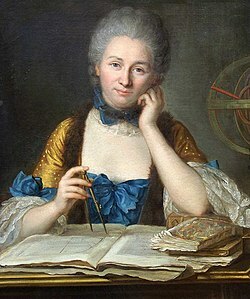 Du Châtelet's father Louis-Nicolas, recognizing her early brilliance, arranged for Fontenelle to visit and talk about astronomy with her when she was 10 years old. Du Châtelet's mother, Gabrielle-Anne de Froulay, was brought up in a convent, at the time the predominant educational institution available to French girls and women. While some sources believe her mother did not approve of her intelligent daughter, or of her husband's encouragement of Émilie's intellectual curiosity, there are also other indications that her mother not only approved of Du Châtelet's early education, but actually encouraged her to vigorously question stated fact. In either case, such encouragement would have been seen as unusual for parents of their time and status. When she was small, her father arranged training for her in physical activities such as fencing and riding, and as she grew older, he brought tutors to the house for her. As a result, by the age of twelve she was fluent in Latin, Italian, Greek and German; she was later to publish translations into French of Greek and Latin plays and philosophy. She received education in mathematics, literature, and science. Her mother Gabrielle-Anne was horrified at her progress and fought Louis-Nicolas at every step, once attempting to have Émilie sent to a convent. 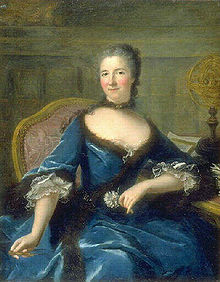 Du Châtelet's also liked to dance, was a passable performer on the harpsichord, sang opera, and was an amateur actress. As a teenager, short of money for books, she used her mathematical skills to devise highly successful strategies for gambling. On 12 June 1725, she married the Marquis Florent-Claude du Chastellet-Lomont. [note 1] Her marriage conferred the title of Marquise du Chastellet. [note 2] Like many marriages among the nobility, theirs was arranged. As a wedding gift, the husband was made governor of Semur-en-Auxois in Burgundy by his father; the recently married couple moved there at the end of September 1725. Du Châtelet was eighteen at the time, her husband thirty-four. The Marquis Florent-Claude du Chastellet and Émilie du Châtelet had three children: Françoise Gabriel Pauline (born 30 June 1726), Louis Marie Florent (born 20 November 1727), and Victor-Esprit (born 11 April 1733). Victor-Esprit died as an infant in late summer 1734, likely the last Sunday in August. On 4 September 1749 Émilie du Châtelet gave birth to Stanislas-Adélaïde du Châtelet (daughter of Jean François de Saint-Lambert). She died as an infant in Lunéville on 6 May 1751. In 1733, aged 26, Du Châtelet resumed her mathematical studies. Initially, she was tutored in algebra and calculus by Moreau de Maupertuis, a member of the Academy of Sciences; although mathematics was not his forte, he had received a solid education from Johann Bernoulli, who also taught Leonhard Euler. However by 1735 Du Châtelet had turned for her mathematical training to Alexis Clairaut, a mathematical prodigy known best for Clairaut's equation and Clairaut's theorem. Du Châtelet resourcefully sought some of France's best tutors and scholars to mentor her in mathematics. On one occasion at the Café Gradot, a place where men frequently gathered for intellectual discussion, she was politely ejected when she attempted to join one of her teachers. Undeterred, she simply had some men's clothing made for herself and strolled back in. 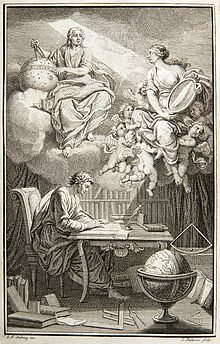 In the frontispiece to Voltaire's book on Newton's philosophy, du Châtelet appears as Voltaire's muse, reflecting Newton's heavenly insights down to Voltaire. Du Châtelet may have met Voltaire in her childhood at one of her father's salons; Voltaire himself dates their meeting to 1729, when he returned from his exile in London. However, their friendship developed from May 1733 when she re-entered society after the birth of her third child. Du Châtelet invited Voltaire to live at her country house at Cirey-sur-Blaise in Haute-Marne, northeastern France, and he became her long-time companion under the eyes of her tolerant husband. There she studied physics and mathematics and published scientific articles and translations. To judge from Voltaire's letters to friends and their commentaries on each other's work, they lived together with great mutual liking and respect. As a literary rather than scientific person, Voltaire implicitly acknowledged her contributions to his 1738 Elements of the Philosophy of Newton, where the chapters on optics show strong similarities with her own Essai sur l'optique. She was able to contribute further to the campaign by a laudatory review in the Journal des savants. Sharing a passion for science, Voltaire and Du Châtelet collaborated scientifically. They set up a laboratory in Du Châtelet's home. In a healthy competition, they both entered the 1738 Paris Academy prize contest on the nature of fire, since Du Châtelet disagreed with Voltaire's essay. Although neither of them won, both essays received honourable mention and were published. She thus became the first woman to have a scientific paper published by the Academy. Du Châtelet's relationship with Voltaire caused her to give up most of her social life to become more involved with her study in mathematics with the teacher of Pierre-Louis Moreau de Maupertuis. He introduced the ideas of Isaac Newton to her. Letters written by Du Châtelet explain how she felt during the transition from Parisian socialite to rural scholar, from "one life to the next." In May 1748, Du Châtelet began an affair with the poet Jean François de Saint-Lambert and became pregnant. In a letter to a friend she confided her fears that she would not survive her pregnancy. On the night of 4 September 1749 she gave birth to a daughter, Stanislas-Adélaïde. Du Châtelet died on 10 September 1749, at Lunéville, from a pulmonary embolism. She was 42. Her daughter died 20 months later. Pierre Louis Moreau de Maupertuis' and Julien Offray de La Mettrie's reference to Du Châtelet's deliberations on motion and free will, on thinking matter and numbers and on the way to do metaphysics indicate the importance of her reflections. She rebuts the claim to finding truth by using mathematical laws, […] and argues against Maupertuis. In 1737 Châtelet published a paper entitled Dissertation sur la nature et la propagation du feu, based upon her research into the science of fire, that predicted what is today known as infrared radiation and the nature of light. Her book Institutions de Physique ("Lessons in Physics") was published in 1740; it was presented as a review of new ideas in science and philosophy to be studied by her 13 year old son, but it incorporated and sought to reconcile complex ideas from the leading thinkers of the time. The book and subsequent debate contributed to her becoming a member of the Academy of Sciences of the Institute of Bologna in 1746. In 1741 du Châtelet published a book titled Réponse de Madame la Marquise du Chastelet, a la lettre que M. de Mairan. Dortous de Mairan, secretary of the Academy of Sciences, had published a set of arguments addressed to her regarding the appropriate mathematical expression for forces vives. Du Châtelet presented a spirited point by point rebuttal of de Mairan's arguments, causing him to withdraw from the controversy. Immanuel Kant's first publication in 1747 'Gedanken zur wahren Schätzung der lebendigen Kräfte' focuses on Du Châtelet's pamphlet against the secretary of the French Academy of Sciences, Mairan. Kant's opponent, Johann Augustus Eberhard accused Kant of taking ideas from Du Châtelet. its speed.) Energy must always have the same dimensions in any form, which is necessary to be able to relate it in different forms (kinetic, potential, heat…). Newton's work assumed the exact conservation of only mechanical momentum. A broad range of mechanical problems are soluble only if energy conservation is included. The collision and scattering of two point masses is one of them. Leonhard Euler and Joseph-Louis Lagrange established a more formal framework for mechanics using the results of du Châtelet. In 1749, the year of Du Châtelet's death, she completed the work regarded as her outstanding achievement: her translation into French, with her commentary, of Newton's Philosophiae Naturalis Principia Mathematica (often referred to as simply the Principia), including her derivation of the notion of conservation of energy from its principles of mechanics. Published ten years after her death, today Du Châtelet's translation of the Principia is still the standard translation of the work into French. Indeed, her translation and commentary of the Principia also contributed to the completion of the scientific revolution in France and to its acceptance in Europe. She lost the considerable sum for the time of 84,000 francs—some of it borrowed—in one evening at the table at the Court of Fontainebleau, to card cheats. To raise the money to pay back her debts she devised an ingenious financing arrangement similar to modern derivatives, whereby she paid tax collectors a fairly low sum for the right to their future earnings (they were allowed to keep a portion of the taxes they collected for the King), and promised to pay the court gamblers part of these future earnings. Du Châtelet wrote a critical analysis of the entire Bible. A synthesis of her remarks on the book of Genesis was published in English in 1967 by Ira O. Wade of Princeton in his book Voltaire and Madame du Châtelet: An Essay on Intellectual Activity at Cirey and a book of her complete notes was published in 2011, in the original French, edited and annotated by Bertram Eugene Schwarzbach. Du Châtelet wrote a monograph, Discours sur le bonheur, on the nature of happiness both in general and specialised to women. 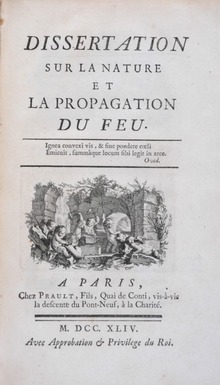 Du Châtelet translated The Fable of the Bees in a free adaptation. She also wrote works on optics, rational linguistics, and the nature of free will. In her first independent work, the preface to her translation of the Fable of the Bees, du Châtelet argues strongly for women's education, particularly a strong secondary education as was available for young men in the French collèges. By denying women a good education, she argues, society prevents women from becoming eminent in the arts and sciences. Du Châtelet made a crucial scientific contribution in making Newton's historic work more accessible in a timely, accurate and insightful French translation, augmented by her own original concept of energy conservation. A main-belt minor planet and a crater on Venus have been named in her honor, and she is the subject of three plays: Legacy of Light by Karen Zacarías; Émilie: La Marquise Du Châtelet Defends Her Life Tonight by Lauren Gunderson and Urania: the Life of Émilie du Châtelet by Jyl Bonaguro. The opera Émilie of Kaija Saariaho is about the last moments of her life. Du Châtelet is often represented in portraits with mathematical iconography, such as holding a pair of dividers or a page of geometrical calculations. In the early nineteenth century, a French pamphlet of celebrated women (Femmes célèbres) introduced a possibly apocryphal story of Du Châtelet's childhood. According to this story, a servant fashioned a doll for her by dressing up wooden dividers as a doll; however, du Châtelet undressed the dividers and intuiting their purpose, made a circle with them. 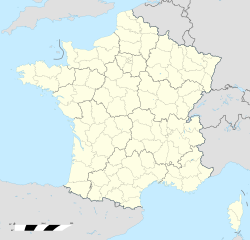 ^ The Lomont suffix indicates the branch of the du Chastellet family; another such branch was the du Chastellet-Clemont. ^ Zinsser, pp. 19, 21, 22. ^ Zinsser, pp. 16–17; for a quite different account, see Bodanis, pp. 131–134. ^ Detlefsen, Karen (2014-01-01). Zalta, Edward N. (ed.). Émilie du Châtelet (Summer 2014 ed.). ^ a b c d e f g Bodanis. ^ Zinsser, pp. 39 and 58. ^ Zinsser, pp. 40 and 93. ^ D. W. Smith, "Nouveaux regards sur la brève rencontre entre Mme Du Châtelet et Saint-Lambert." In The Enterprise of Enlightenment. A Tribute to David Williams from his friends. Ed. Terry Pratt and David McCallam. Oxford, Berne, etc. : Peter Lang, 2004, p. 329-343. See also Anne Soprani, ed., Mme Du Châtelet, Lettres d'amour au marquis de Saint-Lambert, Paris, 1997. ^ Tsjeng, Zing (2018). Forgotten Women. pp. 156–159. ISBN 978 1 78840 042 8. ^ Shank, J. B. (2009). "Voltaire". Stanford Encyclopedia of Philosophy. ^ Detlefsen, Karen. "Émilie du Châtelet". Stanford Encyclopedia of Philosophy. Retrieved 2014-06-07. ^ Arianrhod, Robyn (2012). Seduced by Logic. Oxford Univ. Press. p. 96. ^ "Emilie Du Châtelet -". www.projectcontinua.org. Retrieved 2016-03-31. ^ Du Châtelet, Gabrielle Emilie Le Tonnelier de Breteuil (1740). Institutions de physique. Paris: chez Prault fils. ^ Smeltzer, Ronald K. (2013). Extraordinary Women in Science & Medicine: Four Centuries of Achievement. The Grolier Club. ^ Ruth Hagengruber: "Émilie du Châtelet between Leibniz and Newton: The Transformation of Metaphysics", in: Hagengruber, Ruth 2011: Émilie du Châtelet between Leibniz and Newton, Springer 1-59, p. 1 and 23, footnote 4 and 113. Arianrhod, Robyn (2012). Seduced by logic : Émilie du Châtelet, Mary Somerville, and the Newtonian revolution (US ed.). New York: Oxford University Press. ISBN 978-0-19-993161-3. Bodanis, David (2006). Passionate Minds: The Great Love Affair of the Enlightenment. New York: Crown. ISBN 0-307-23720-6. Ehman, Esther (1986). Madame du Chatelet. Berg: Leamington Spa. ISBN 0-907582-85-0. Hamel, Frank (1910). An Eighteenth Century Marquise: A Study of Émilie Du Châtelet and Her Times. London: Stanley Paul and Company. OCLC 37220247. Hagengruber, Ruth, editor (2011) Émilie du Châtelet between Leibniz and Newton. Springer. ISBN 978-94-007-2074-9. Mitford, Nancy (1999) Voltaire in Love: New York: Carroll and Graff. ISBN 0-7867-0641-4. Zinsser, Judith (2006) Dame d'Esprit: A Biography of the Marquise Du Châtelet: New York: Viking. ISBN 0-670-03800-8 online review. Zinsser, Judith and Hayes, Julie, eds. (2006) Emilie du Châtelet: Rewriting Enlightenment Philosophy and Science: Oxford: Voltaire Foundation. ISBN 0-7294-0872-8. Wikimedia Commons has media related to Émilie du Châtelet. O'Connor, John J.; Robertson, Edmund F., "Gabrielle Emilie Le Tonnelier de Breteuil Marquise du Châtelet", MacTutor History of Mathematics archive, University of St Andrews . Voltaire and Émilie from the website of the Château de Cirey, accessed 11 December 2006. Fara, Patricia (10 June 2006). "Love in the Library". The Guardian. "The scientist that history forgot," The Guardian 15 May 2006. Women Scientists Today Link to CBC radio interview with author David Bodanis. Link to ARTE-Doku-Drama E = mc² – Einsteins große Idee. ARTE TV 26 April 2008, 12 March 2011.